Our New York City / Long Island regional headquarters is located at 350 Park Ave., New York, N.Y. Locally, our customers bank with us at 37 offices across seven counties, including: Bronx, Kings, Nassau, New York, Queens, Richmond and Suffolk County, N.Y. The region is managed by two bankers with more than 50 years of combined industry experience. 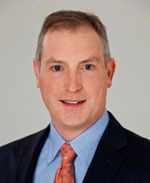 Peter D’Arcy is the Area Executive of M&T Bank Corp. and Regional President of the New York City and Long Island region. D’Arcy, who also serves as head of the Commercial Real Estate (CRE) segment, began his career at M&T Bank in 1995, and was promoted to regional president in 2013. Born and raised in New York City, he serves as a trustee of The Citizens Budget Commission and on the Real Estate and Construction Council of Lincoln Center for the Performing Arts. 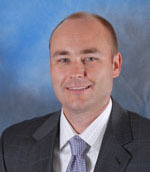 Jason Lipiec is the Market President for Long Island. He has 28 years of financial services industry experience, including 20 years with M&T Bank, and is a lifelong resident of Long Island. He previously served as Senior Group Manager for Middle Market banking out of M&T’s New York City regional headquarters in Manhattan.